As far as I can tell, I was one of the most ardent supporters of the original The Legend of Heroes: Trails of Cold Steel, at least where reviews were concerned. I loved the ways that game reminded me of my favorite JRPG franchise, Persona – there’s a lot to compare, from the story centering on a ragtag group of different students at a school (in this case, a military academy called Thors) to a system where relationships could be fostered between said students for advantages in battle (using the “Link” system, echoing the “Social Links” of the Shin Megami Tensei spinoff). 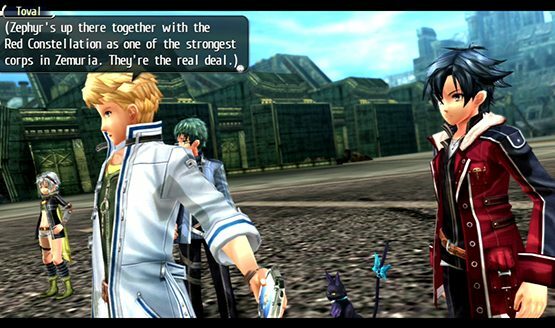 Trails of Cold Steel’s pleasures weren’t limited to its comparisons to Persona, though; it had a unique, satisfying turn-based battle system all its own, and its character interactions and dialogue were among the most detailed and well-localized I’ve ever seen of a game in the genre. The second entry in the trilogy, Trails of Cold Steel II, is here at last – and while I’m disappointed that this entry’s story focuses too much attention on the political details of the war and not enough on the wonderful characters fighting in it, this is still a worthy successor to what turned out to be my favorite RPG last year. Trails of Cold Steel II picks up a month after the events of the original game, although protagonist Rean Schwarzer doesn’t realize just how long it’s been at first. After a prologue that takes a little too long to get going, and a few too many creepy jokes about Rean’s relationship with his sister (including one that makes a pun out of “kinship” and “skinship” that made me shudder), things finally get going. Long story short, this is partly a “getting the band” back together sort of tale where Rean reunites with his classmates from Thors Academy by using something called the “Spirit Path” – read: a magical place of untold gobbledygook that lets Rean and friends fast travel between locations. As before, the character interactions and English localization for this game are second to none. XSEED always does a phenomenal job when it comes to reinventing dialogue for Western audience, and this game is no exception – the localization team gave 110% here even as it had to contend with an almost laughable number of characters. I love the way these folks sound a lot more like actual people than the ludicrously melodramatic phonies in so many other games in the genre, too. Make no mistake, there’s plenty of genre cheesiness to go around – including the protagonist going into an Hulk-like “overdrive” state whenever he loses control of his emotions – but while I can’t speak for the original Japanese version, XSEED’s writing elevates the fairly standard material into a really touching story full of characters it’s almost impossible not to love. Plus, they’re not the only ones with interesting things to say – even the most basic “Joe NPC” in each town is given a personality and motivations, giving you an incentive to chat up the locals whenever you jump to another location. That said, I do have a few complaints about the way things play out this time around. 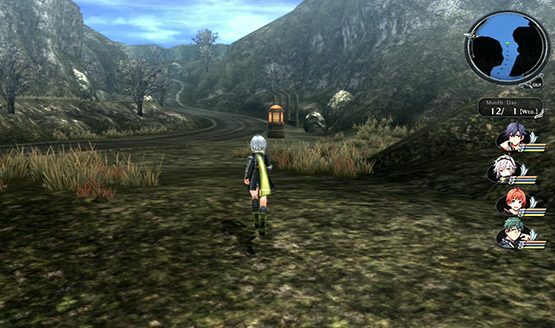 While the first entry in the series was a more character-driven game, focusing almost all its narrative energy on the relationships between the students and instructors at Thors Academy, Trails of Cold Steel II dives deeper into the political details of the ongoing battle and the lore of the world it’s taking place in. That’s not inherently a bad thing, to be sure – but while there are still plenty of nice character interactions here, the darker tone and sometimes-excruciating detail about all the different players and political implications of the war kind of obscure them sometimes. Oh, and one warning for anyone who’s not played the first The Legend of Heroes: Trails of Cold Steel – don’t try to play this game without getting through the original first. Trails of Cold Steel II’s idea of recapping the first game’s events is mentioning them in passing, then showing sepia-toned stills. It’s not exactly enough to get you up to speed, which I imagine would be frustrating for anyone who’s looking to get into the franchise, but hey, the first game is still available to play and it’s a great one – read my review if you still have any doubts. So how’s the actual gameplay itself, and how does it compare to the original? Well, I have to admit I do miss the day-to-day academy activities, but the fact of the matter is that things are getting more series as conflict escalates in the series’ universe – I understand the new structure even if I’m not as big a fan of it. The combat and customization systems, on the other hand, are still as excellent as ever. The Materia-esque Orbments are still a lot of fun to use, providing various effects from granting additional Arts (magic) to adding bonus effects (for example, giving your attacks a 10% chance to inflict a status effect). There are a lot to collect and synthesize, and building combinations for each of your team members is intuitive and fun. Plus, there are just so many cool moves to use, between the aforementioned Arts and special character-specific skills called Crafts. The latter group mercifully includes a number of spells that target multiple enemies and allies at once, making it easy to blast through regular encounters and easily heal or buff allies during tougher boss battles. If there’s something to nitpick about, it’s that the gameplay – from the battles to the exploration – doesn’t feel very different at all. That’d be a bigger problem in a game where those elements weren’t that great, but since the ones in Trails of Cold Steel II are almost uniformly excellent, it’s a concern that’s only mentioning because this feels less like a real sequel and more like an expansion to the original game. Plus, hey, I really wanted a better way to fast-forward through enemy encounters – just hammering on the start button doesn’t really make things go any faster, and the agonizing tedium of sitting through four or five enemy turns gets old fast. Change for change’s sake can be a poor way to honor a series with as many quality elements as this, though; the narrative and fun combat served as more than enough motivation to keep plowing through one scenario or another, I just sort of wish there’d been more things to shake the proceedings up in my time with the game. It was certainly nice to see the Knight battles get more developed here – these impressive confrontations between giant mechs were kind of a tease in the original game, and while they can seem a lot less complex and strategic than the normal encounters and boss battles with your party, they’re still loads of fun and lead to a ton of insane things happening onscreen. Speaking of insane things happening onscreen, I do have to mention the Vita version does struggle quite a bit when it comes to trying to handle some of the more impressive attack sequences during battle. In fact, while I did notice some performance hiccups in its predecessor, it did seem to me like Tales of Cold Steel II spent a lot more time chugging. That could just be my memories of the first game getting lost in a fog among the countless other games I’ve played, but the fact remains that the performance here does dip pretty often. As I’ve mentioned in previous reviews, I’m a bit more forgiving of these technical issues than a lot of other people, so forgive a little use of the cliché “your mileage may vary” here. But this isn’t an ugly-looking game, either. I still absolutely love the vast majority of the character designs here, particularly when it comes to the flamboyant, colorful style displayed by those lovely whack-jobs in the secret society Ouroboros. Plus, while decidedly looking like a game from one (if not two) generations ago, there are enough other inspired elements in the art design – including some particularly gorgeous environments (the snowy town of Ymir you start in is a particularly tranquil example) and a ton of truly incredible-looking attack animations (framerate drops notwithstanding). The score’s also great too, although the tracks with realistic-sounding instruments sound a lot better than the cheesy-but-catchy synthesized themes. The Legend of Heroes: Trails of Cold Steel II is a worthy follow-up to my favorite RPG from last year, even if it stumbles in a couple important ways that left me slightly less impressed. The characters and the writing are still the stars of the show this time around, so hats off to XSEED for providing another excellent localization. I didn’t really get into the increased focus on the political implications of the war or the number of goofy twists that make up the climax here, but it sure was great to see all my favorite students from Thors Academy again. The exciting, fun turn-based combat, too, is an absolute treat to revisit, even if I’d have liked to see more meaningful changes and improvements made to its systems. If you didn’t play the original game and are interested in diving into Trails of Cold Steel II right away, I implore you to go back and play its predecessor first; not only do I find that a superior game, but I can already imagine the bewilderment of the poor soul who attempts to go into this one’s insanely detailed lore without a hint of background information. On the other hand, for those folks who did play and enjoy, know that this second entry is just more of the same great thing, and that was good enough for me to have a really fun time. 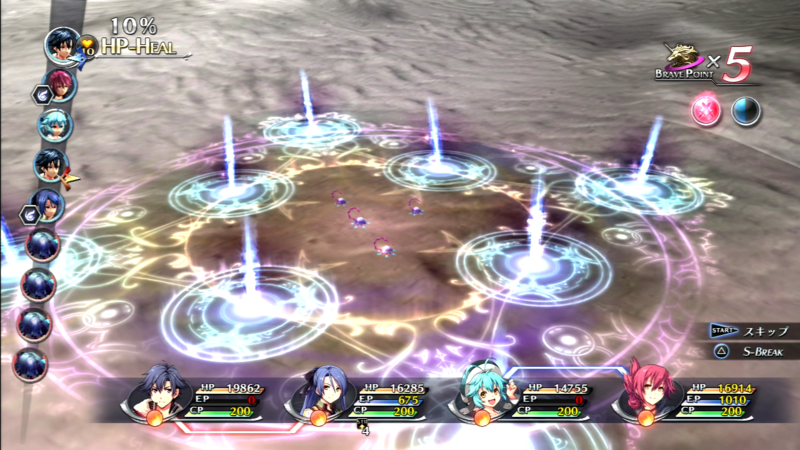 Review code for The Legend of Heroes: Trails of Cold Steel II provided by publisher. Reviewed on PlayStation Vita. For more information on scoring, please read our Review Policy here.